Psychedelics like psilocybin mushrooms and LSD not only don't cause mental health problems, they may actually improve mental health, say Norwegian researchers. 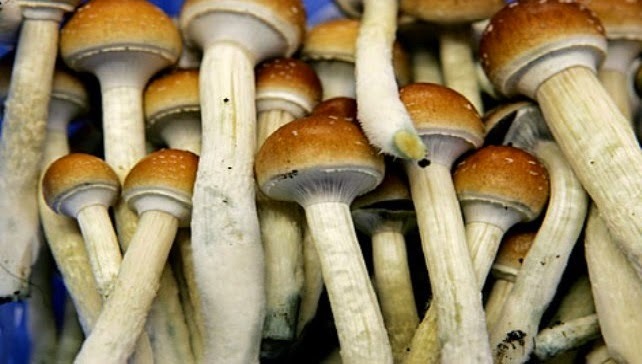 Those are the findings by neuroscience researchers at the Norwegian University of Science and Technology in Trondheim, who reported that LSD, psilocybin and mescaline not only don't cause long-term mental health problems, but that in many cases the use of psychedelics is associated with a lower rate of mental health problems. The study pulled data from the US National Survey on Drug Use and Health, observing 130,152 randomly-selected respondents from the adult population of the US. 13.4% of that group (21,967 individuals) reported lifetime use of psychedelics. Comparing this data to standardized screening measures for mental health, the researchers found that neither lifetime psychedelic use nor use of LSD in the past year were independent risk factors for mental health problems—and that, in fact, psychedelic users had lower rates of mental health issues. “Psychedelics often elicit deeply personally and spiritually meaningful experiences and sustained beneficial effects… LSD and psilocybin are consistently ranked in expert assessments as causing less harm to both individual users and society than alcohol, tobacco, and most other common recreational drugs. The Norwegian study brings good news for the over 30 million Americans who have used psychedelics (compared to 100 million who have used marijuana). And while the media has been buzzing about Dr. Sanjay Gupta's revelation that he "changed his mind on weed" it may be time for psychedelics to get a similar PR rehabilitation. While psychedelics still conjure images of 1960s-era bad trips like Art Linkletter's daughter jumping out of a window on acid (an overinflated myth, says Snopes), they have undergone significant research and slow progress towards clinical acceptance in the past decades. Researchers still labor under the immensely negative Timothy Leary-era image of psychedelics, but are steadily chipping away at the cultural deadlock created by what many see as reckless abuse of psychedelics during the 1960s and 70s. Standing in stark contrast to the negatives of that time, however, are the immense clinical benefits that psychedelics are consistently being shown to offer. Multiple studies are currently being conducted (at New York University's medical school and Johns Hopkins Bayview Medical Center) into using psychedelics to alleviate fear in patients with late-stage terminal illness—easing the experience of death and allowing people to end their lives in states of acceptance instead of terror. LSD and psilocybin even hold promise for treating cluster headaches a condition so debilitating and painful that it often leads sufferers to consider suicide.